PCA publishes Regulatory Compliance Handbook as part of his response to the concerns identified in the MRO verification exercise. Pubs Code Adjudicator Paul Newby has today published a Regulatory Compliance Handbook setting out how he expects pub-owning businesses covered by the Pubs Code to act in a number of important areas. The Handbook contains minimum standards dealing with areas such as communications and engagement with tenants. Another major focus is the behaviour of Business Development Managers, particularly following a tenant’s request for a Market Rent Only (MRO) option. Publication of the Regulatory Compliance Handbook is part of the PCA’s response to the concerns identified in the MRO verification exercise which highlighted the low conversion rate of MRO Notices served into MRO tenancies agreed. Mr Newby intends to monitor its use and welcomes information from tenants and organisations representing their interests about how it is being implemented. This Handbook is a starting point and the PCA will be inviting pub-owning businesses to build on and add to this advice. The PCA will provide updates to the Handbook to deal with additional issues and developments. As well as concerns about the way some pub-owning businesses were treating tied pub tenants when they request an MRO proposal, the MRO verification exercise also identified concerns about the time and expense involved in arbitrations, and the lack of clarity in the Pubs Code, especially on the MRO vehicle. The PCA agrees that the arbitration process has been too slow. He has therefore taken steps to speed up the process, including the introduction of new IT and an expanded team. The PCA expects both tied pub tenants and pub-owning businesses to play their part in minimising delays and providing timely information. The PCA understands the demand for further clarity on the Code, in particular on the question of whether an MRO tenancy requires a new agreement. 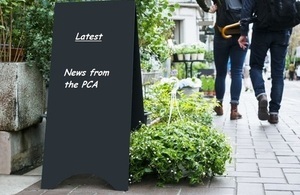 The PCA has made decisions on this issue, but is currently subject to an appeal. This places limits on what the PCA can say publicly at this time. The PCA continues to make arbitration decisions and will draw out principles from these cases in the form of further advice and guidance on the scope and application of the Code as the number of decisions increases. Paul Newby said: “I recognise there has been concern and frustration with the operation of the Pubs Code – I share much of that. The Code is new and new law can take time to bed down but I believe we have an action plan that will deliver real progress. The results of the verification exercise that examined the experiences of tenants seeking a Market Rent Only option deeply concerned me. Concerns covered three key areas: the way some tied pub tenants are treated by pub-owning businesses when they request an MRO proposal; the time and expense involved in arbitrations; and the lack of clarity in the Code, especially on the MRO vehicle. “Following publication of the report I held a series of bilateral meetings with the pub-owning businesses to discuss the concerns raised by tenants in more detail. After detailed discussions with each CEO, I have produced the Regulatory Compliance Handbook. This is statutory advice to the pub-owning businesses on the behaviours I expect from them in line with their specific obligations under the Code. I will monitor formally how the pub-owning businesses implement this advice and am prepared to take further regulatory action if I do not see progress. For further information contact office@pca.gsi.gov.uk. The MRO verification exercise report was published 23 August 2017. PCA bulletin (August), published 23 August 2017, provided the PCA’s initial response to the MRO verification exercise. PCA bulletin (December) and Regulatory Compliance Handbook published 15 December 2017.